Want to GROW RICH? Can you TAP FAST enough? CLICK - TAP - BUILD collect miners cash every day - even when you're not playing! ⛏️ SUPER CASUAL GAME PLAY Just keep tapping the screen. The perfect dwarf clicker story! ⛏️ TAP & BUILD Build your dwarf town, collect money, hatch dragons, upgrade your township! Tap! Tap! Tapped! ⛏️ CLICK & CASH Casual & addictive idle clicker city game play for dwarves happy to click & pocket money every day! Collect and grow rich! ⛏️ CHALLENGE FRIENDS Think you can hatch more happy dragons than your friends? Got more gems? Send them dwarves a challenge! 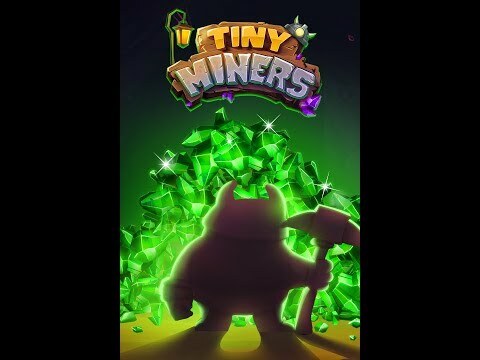 Tap like a tycoon and clone as many tiny miners dwarves as you can to grow and upgrade your dwarf city to pocket MONEY in this awesome 3D game! A mine farming city simulator like no other - with dragons you can hatch!